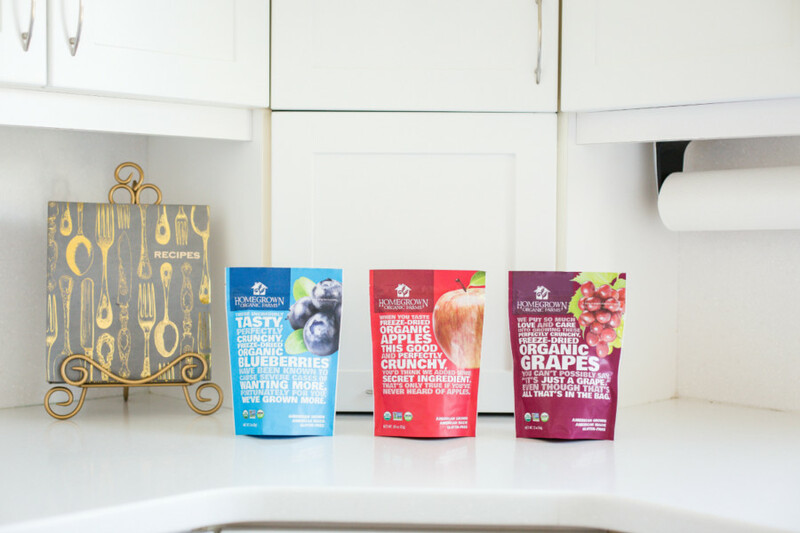 Now that you’ve had the opportunity to meet our freeze-dried grapes, apples, and blueberries, we’d like to introduce you to a whole new world of flavor twists. While Homegrown’s freeze-dried fruits are independently delightful, mixing them together possesses untapped potential. In fact, we’ve mastered a few combinations that are sure to earn a spot on your favorite snacks list. Freeze-dried fruit is time-tested, tasty, and remains a fan-favorite all year long thanks to their impressive, 18-month shelf-life. Did you know? They also pair extraordinarily well with other freeze-dried fruits! The following combinations have won over those who have tried them and we can’t wait to share them with you. As always, you can count on our freeze-dried fruit to contain no added sugars or preservatives. What you’re getting is as nutritious as freshly-picked apples, blueberries, and grapes; we’ve simply removed the moisture. Freeze-dried fruit mixes define best friends; the pairings are soul-mates, perfect pairs, yin, and yang, and one might say they complete each other. The best part? Mixes are easily customizable. Yours will fit your flavor profile like a glove and you can change it up as you wish. Try varying amounts of fruit until you’ve achieved perfection and remember to jot down your recipe for next time! Sometimes a handful of blueberries is all that’s needed to satisfy a craving but occasionally we need a bit more variety. 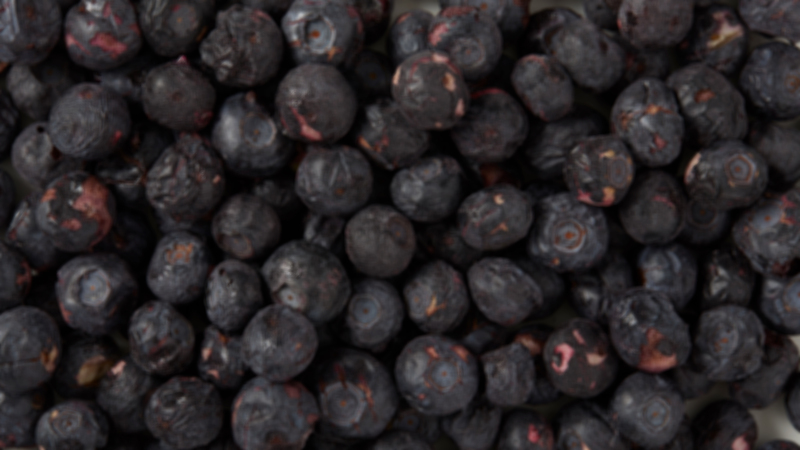 Thankfully, freeze-dried blueberries are quite the team player and pair well with just about every other fruit. Sparks fly, however, when freeze-dried, crunchy blueberries and grapes join forces. The subtle sweetness of freeze-dried blueberries balances out the brightness of the grapes—a truly underappreciated combination of flavors—one that’s often overlooked when snacking fresh. Freeze-dried apples and blueberries create something entirely unexpected. They’re sweet yet mellow with just enough tang from the apples to keep your taste buds dancing with interest. This one is for the fans of harmonious flavors. It is balanced, classic, and thanks to being freeze-dried, extremely easy to enjoy on-the-move. This pairing is unstoppable and is a favorite amongst youngsters and their famously insatiable sweet tooth. Both the apples and grapes are splendidly sweet on their own, but together morph into a treat you may think is made from something other than fruit—but it’s not! Freeze-dried grapes and apples in a single bite provide the taste your sweet tooth is chasing without any added sugars. Something every parent (and dentist) can celebrate! Start by combining equal parts of your selected fruits in a mason jar, mixing carefully. Next, hone in on your fruit measurements to find your preferred balance of flavors. Each person has an idealistic ratio of fruit and it’s as unique as they are. What will yours be like? Busy parents, hungry kids, and midnight snackers alike find happiness in crunchy, freeze-dried fruit mixes, especially when lovingly created with personal preference in mind. Keep it as an impromptu snack in your purse, the diaper bag, or your child’s lunch as a special treat. The real question is, however, will your family share your vision or will there be unique treats for each of you? Join us in discussing the world’s best freeze-dried fruit, and your custom blends, on Facebook, Twitter, and Pinterest. Did your mix come out perfectly? Share a photo with us on Instagram with the hashtag #hgofarms for a chance to be featured! Do you Ship here in the USA? I just bought some of your Beautiful Huge Naval Organic Oranges, & I believe they were the best I have ever eaten! We’re so glad to hear that you enjoyed our organic navels! Unfortunately, we are not set up to sell and ship directly to consumers. We highly recommend speaking with your favorite produce manager about their upcoming supply of Homegrown citrus. Alternatively, your produce manager may be able to place a custom order on your behalf. Previous PostHow Do Organic Seedless Navel Oranges Exist?